Monopods come in as a handy camera support and can go places where the tripod can't. This makes the monopod a must-have piece of equipment to have in your photography arsenal. This article will help you decide which monopod you should buy. Camera technology has improved by leaps and bounds from the days of film based photography. But, certain aspects of photography have remained, including the photographer who shoots. No matter how good your equipment is, the limitation could be the human factor. The best photographs are the not only the ones composed and shot wonderfully, but simply sharper looking photos are always a pleasure to enjoy. Avoiding camera shake has been a primary concern from the days of film to today's digital technology. You can always use a tripod to get a sharper picture, at times when a tripod becomes an overkill - the monopod is the equipment of choice for most photographers. So, if you are on the market for a monopod, here are some recommendations. 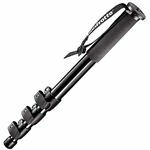 The Bogen or Manfrotto 685 NeoTec Monopod Deluxe is one of the most popular monopods available for photography enthusiasts. It is an aluminum based model that comes with a comfortable foot pedal that makes using it a breeze. The pedal comes in handy for quickly increasing the height of the monopod and offers shooters with great ease required for wildlife and studio based modelling shoots. 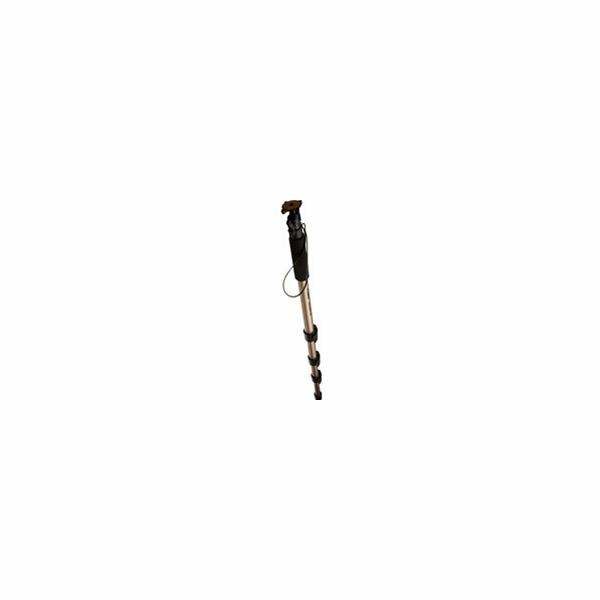 The locking mechanism of the monopod comes with a safety lever that prevents accidental depression of the height. It is solidly built unit as is the case with most of the Bogen/Manfrotto products. 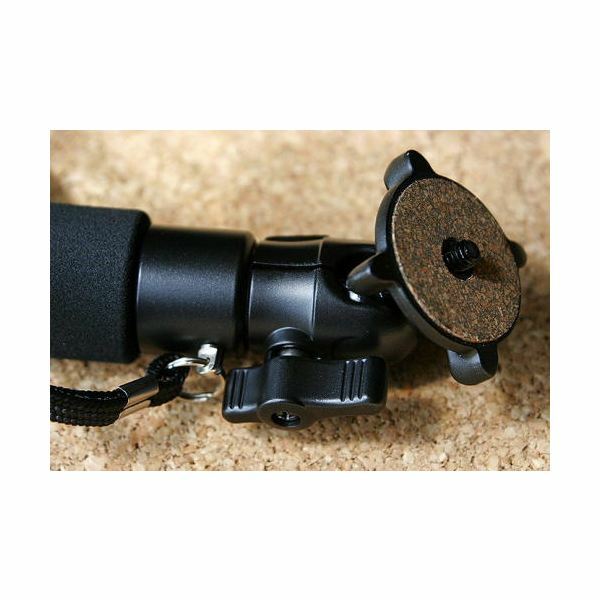 The suction cup at the base offers extra grip when shooting on not so solid ground. The monopod expands to a maximum height of 169.9 cm and a load capacity of 8 kgs which supports heavy camera bodies as well as lenses. If you are looking for a monopod that offers the most of one-handed operation, then look no further. If you shoot a lot of fashion or studio photography and require a professional level support for your camera, the $150 Manfrotto 685 NeoTec is the way to go. All in all it is a well priced, solidly built feature filled monopod for heavy users of camera support. 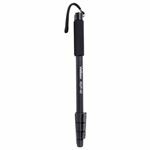 The Bogen/Manfrotto 680B is mid range monopod option available for photography amateurs as well as advanced enthusiasts. The unit is made of Aluminum alloy and allows for comfortable use. 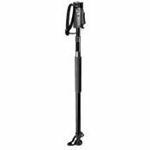 The monopod is a 4 section unit, with a compact closed height of 51 cm, which makes is easy to carry around in most medium capacity photo backpacks. 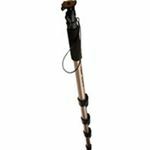 The maximum height this monopod is capable of is 154 cm which might be short from users above 6 ft but the disadvantage can be overcome using a suitable monopod head. The maximum load capacity on the 680B is a generous 10 kg and the unit itself weighs around 0.8 kg, which is not very light but still not heavy to lug around. The 4 sections of the unit are locked and held firmly by a flip lock system. The hand holding area is provided with a rubberised grip making it comfortable to use. There is a much more recent model, the 681B - but the 680B retailing for about $60 is still a worth buy. 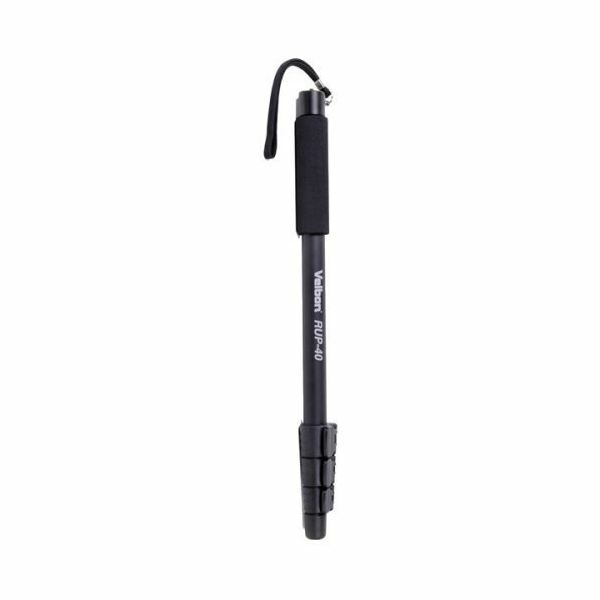 If you are looking for a mid range monopod for comfortable everyday use or occasional use, the 680B is worth the money. 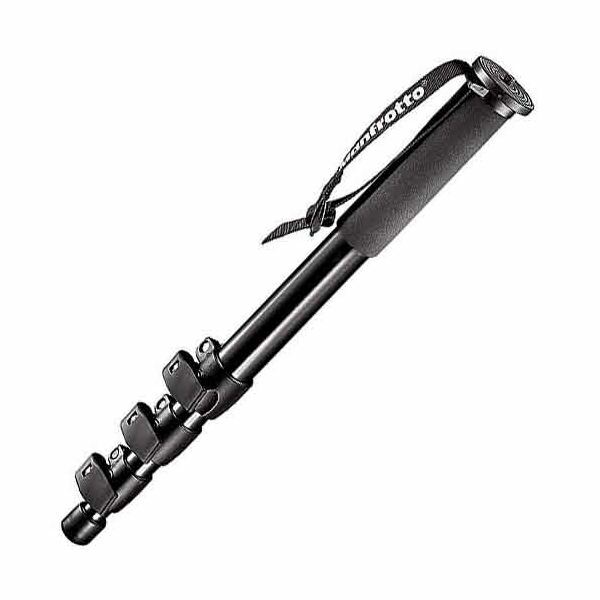 The Gitzo GM5540 Mountaineer Monopod is one of the higher end monopods. It is a solidly built unit, made of carbon fibre and is a very light yet sturdy unit for trekking and other similar occasions. The monopod consists of 6 sections that are held together by twist lock system called the “G-Locks". This is a sturdy yet easy to use system. The twist lock mechanism offers great advantage over conventional flip lock system in terms of ease of use. 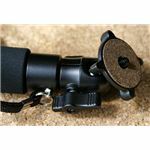 The twist lock system comes in handy along with the anti-rotation leg that comes with the unit, which makes the locking system just a pleasurable experience to use. 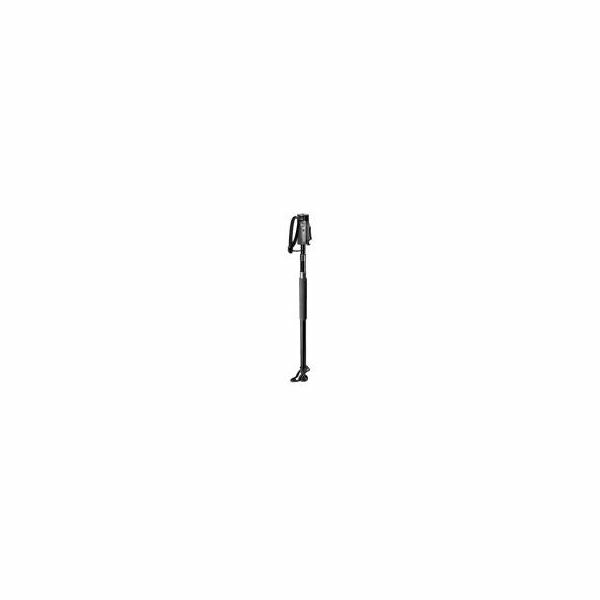 The monopod can be raised to a height of 162 cm and comes with a compact closed height of 55 cm. These dimensions make the Gitzo GM5540 one of the best travelling monopods ever. The carbon fiber material provides great stability as well as sufficient dampening of vibrations. It is worth noting that the GM5540 has been replaced by the GM5541, though it is a worthy purchase if you can get it at a reasonable price. The Canon Monopod 100 is a perfect solution for users who would like to experiment with monopods. The unit is not very pricey, yet comes with good build quality and comfortable ease of use. The significant point to note is that the monopod comes along with a monopod head which allows you to attach you camera, without spending for an additional monopod head. The mini ball head that comes with monopod is suitable for most mid-level SLRs and most medium range lenses. The unit weighs just over a pound and has a compact closed height of 21.3 inches, extending up to a height of 64.5 inches it should be more than suitable for most shooting occasions. The 4 sections that make up the monopod are locked into place with a flip lock system. The compact size should enable the user to carry it around easily and the aluminum build keeps the price of the unit down yet making it a satisfactorily sturdy unit. All the above features combined with a fabulous price of $36 earns the Canon Monopod 100 a place on our list of the top 5 monopods. 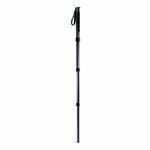 The Velbon RUP-40 is an entry level 4-section monopod suitable for everyday use. If you are a beginner monopod user, investing much in monopods may not make much sense, try the Velbon RUP-40. It can be used for both digital SLRs as well as camcorders and offers good value for money. It does not come with a monopod head, comes with a foam grip for hand holding and a rubberised base grip for stability. It can rise to a maximum height of 62 inches and can carry a maximum of 0.8 pounds. 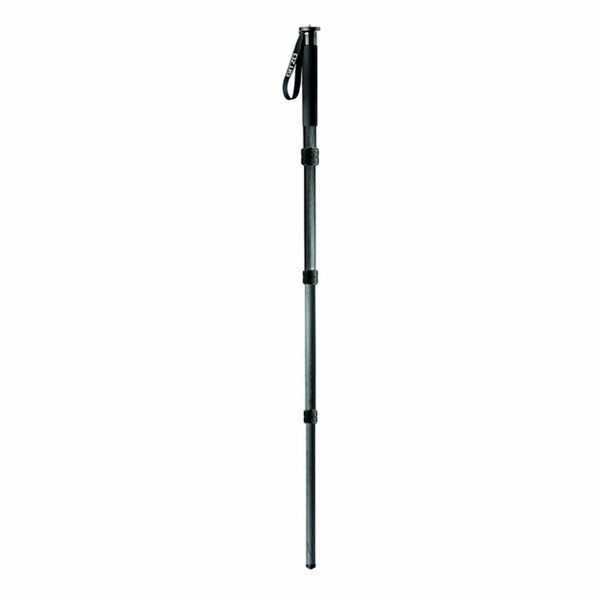 It is suitable for trekkers and hikers, due to low weight and compact size. The build quality is average, but still should last for a year or two depending upon usage. The wrist strap is added plus for easy carrying ability. All this for an unbeatable price of $23 makes it a worthy buy.